Conveniently located in the heart of Auburn, ME the team at Cyr Chiropractic Center are dedicated to helping you achieve your health goals and live a better life through Chiropractic care. By combining the skills and expertise of Chiropractic and wellness care, our team will try to relieve your pain and help you do the things you want or need to do every day. 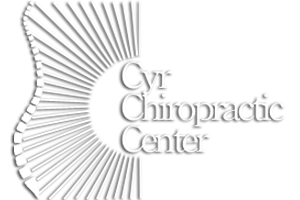 When you choose Cyr Chiropractic Center you are assured that our caring doctors and staff will provide only the finest quality care through the use of modern Chiropractic equipment and technology. Drs. Michael and Christopher Cyr and the Cyr Chiropractic team have a genuine concern for your well-being. We want to correct the cause of your health condition and improve your overall health with exercise, fitness, nutritional and stress management guidance. Our mission is to help as many people in our lifetime as we can. We educate our patients about Chiropractic and other natural solutions to common health problems to provide the very highest standard of health care for you and your loved ones. We encourage and support you in taking a more active and responsible role in restoring and maintaining your own health as well as the wellness of people around you.